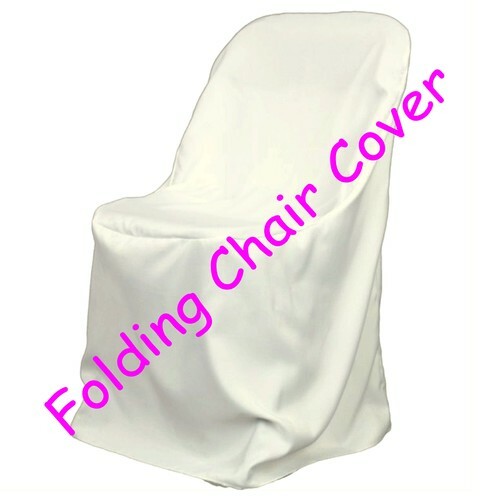 New Ivory polyester folding chair covers. These chair covers are made from 100% Polyester and are wrinkle and stain resistant, machine washable. Perfect for a wedding, party or special occasion. We recommend using a steamer to remove any stubborn wrinkles.